RAMDA FLAZA GWNGJU IS different. 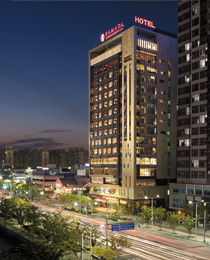 be called the center of gwangju is of 3 underground floors and 17 ground floors. global level service not only to domestic guests but also to overseas guests. design where nature and art are harmonized. management ideology of "grow with the community starting from small things".